Building up a significant userbase since launching last year, Re:Call is used by companies across multiple disciplines. Due to its compliance capabilities, the app is used within large financial organisations including Liberum and boutique firms such as Marshall Sterling. Whilst businesses across all industries, including healthcare and professional services, are enjoying the mobility it offers to employees. IM for Re:Call will be rolled out to Re:Call users in May 2019. 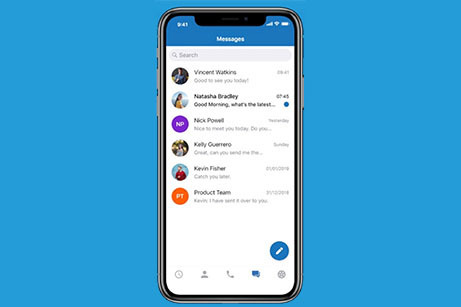 Group messaging will follow in June 2019. TeleWare, a Microsoft Gold Partner in multiple disciplines, has been a leading communications technology business for over 25 years. Its customers include some of the world’s leading multinational and local financial and professional services, IT, manufacturing, retail, health and public sector organisations. Today, TeleWare technology is used by one in every three FTSE 100 financial services companies. TeleWare has created single numbering solutions, pioneered cloud-based recording solutions, is the world’s leading provider of SIM based compliant recording and the only organisation to offer both SIM and app-based compliant recording. This helps businesses meet regulatory and governance requirements. TeleWare’s ability to help businesses route their communications more effectively addresses fundamental customer experience and business productivity challenges.